and require no maintenance other than cleaning. 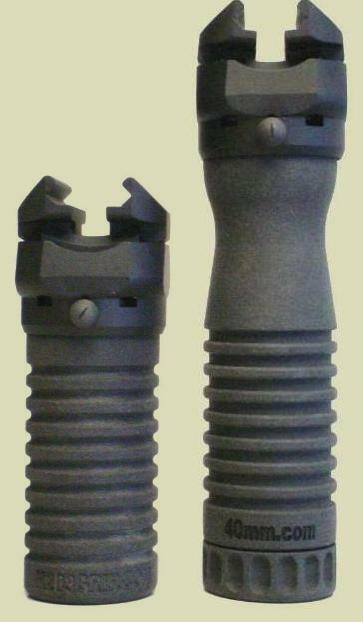 Pictured are the two choices of M203grip and RailGrip handles, compared to the molded plastic, standard issue, rifle RailGrip found on the M16 and M4 rifles. 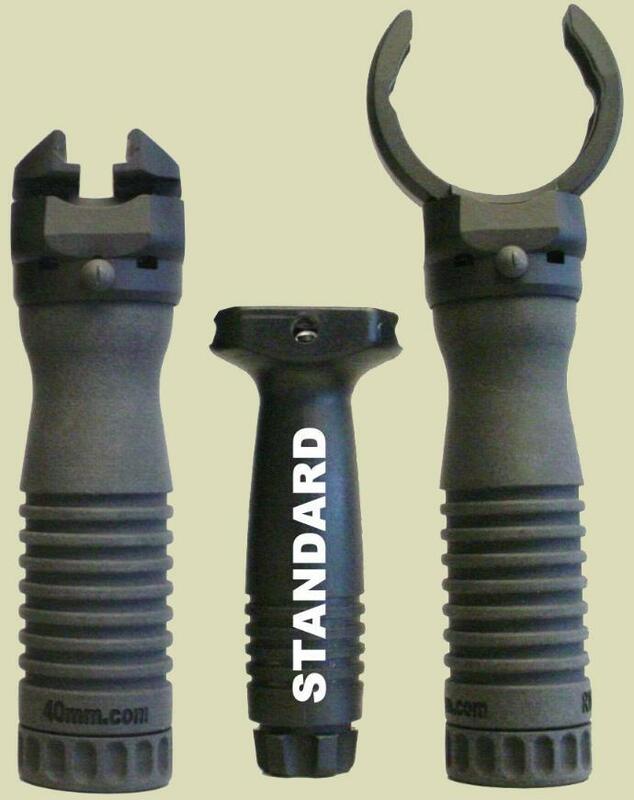 The comparison is to help you judge which handle is right for your grip. 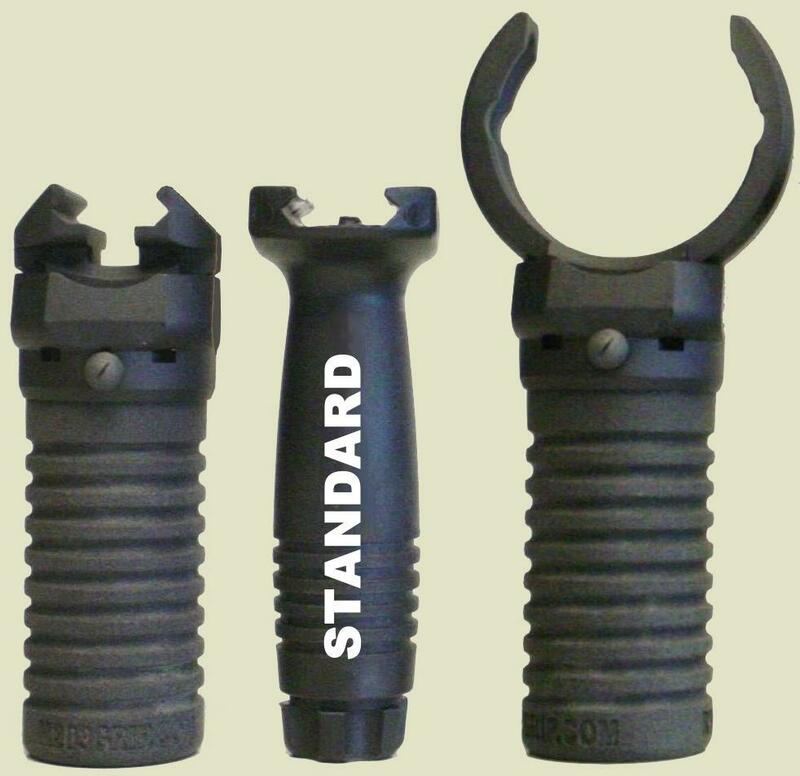 If you want a storage compartment for your batteries or other small objects, there is only one handle for your grip. The Battery Handle will hold the most popular batteries and is designed with two main objectives: keep them dry and keep them from rattling. 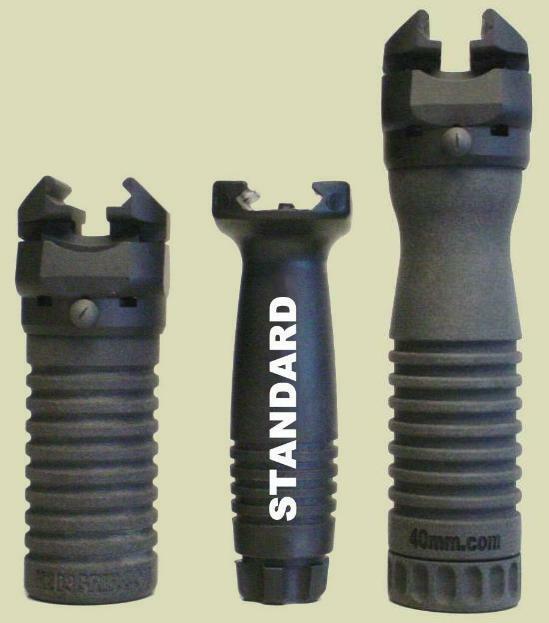 The Battery Handle is 4-5/8" long and 1-1/2" wide. The Battery Handle has a specially contoured interior allowing AA batteries to slide inside the compartment side by side. Three, side-by-side, AAA batteries can also use the contoured interior to be quietly stored. BATTERY STORAGE COMPARTMENT: Certified waterproof at 20 meters (66 feet) for minimum of 2 hours by U.S. Navy approved, independent testing lab. O-RING SEAL: Advanced performance under extreme conditions from - 40° to 180 ° Fahrenheit. but you have a thick, short grip. (same width as the Battery Handle and 1-6/8" shorter). 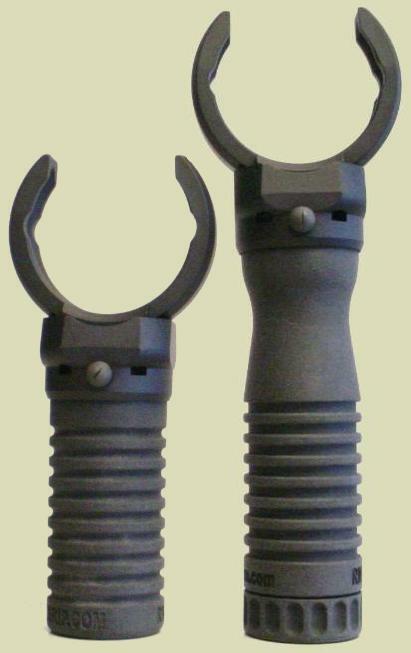 The M203grip Product Line is solely manufactured by RM® Equipment, Inc. 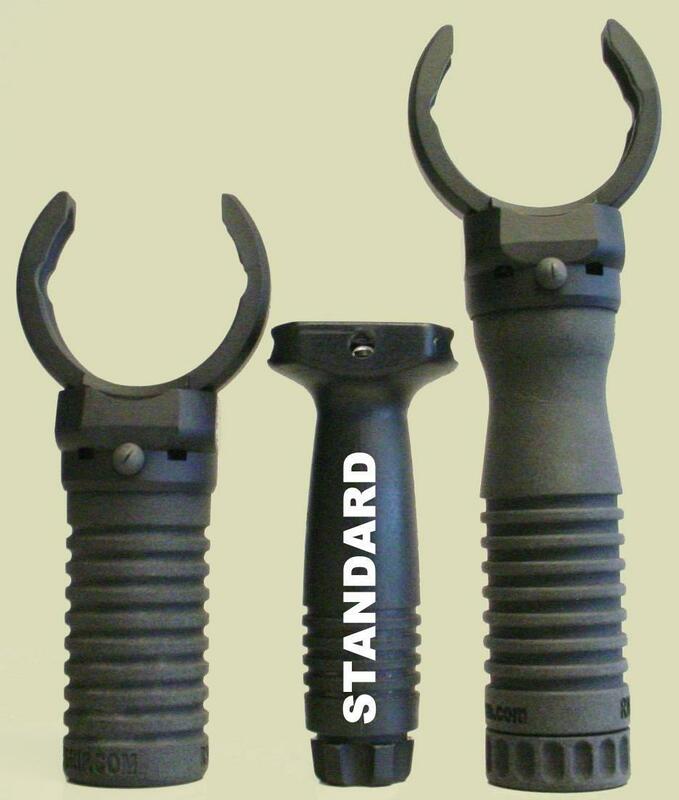 The M203grip Product Line is made in the USA. RM Equipment Inc. is a Veteran Owned Company. RM® and the "Bang" are Registered Trade Marks and may not be used without written permission from RM Equipment, Inc. RM's product improvement process is continuous, so current versions may vary from those shown on this website. © 2012 RM® Equipment, Inc.